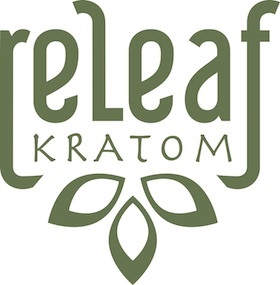 ReLeaf Kratom is based in Columbus, Ohio. We pride ourselves on top notch quality, outstanding customer service, and fast turnaround. Our 'store' has evolved into a couple of vending machines stocked with only the best, most effective strains of premium Kratom powder and available 24 hours a day for your convenience. Welcome to Releaf Kratom! We value the old cultures. We respect their art, their visions, their harmony with nature, and their ancient knowledge of plants. We believe that alignment with nature is crucial for the continued awakening and evolution of mankind. Plants are tremendously important to culture, medicine, technology, personal growth, and wellness. In this moment in time, much of humanity has become disconnected from nature, so reconnecting with plants reconnects us with reality. It re-aligns us with nature. I found this miraculous plant more than fifteen years ago and it took me almost ten years to try it. Since then, my life has changed profoundly. Kratom is a subtle herb, but versatile and multifaceted. It provides a calm sense of focus, energy, and motivation to get things done. My appreciation and respect for this plant have grown phenomenally! Not only does it improve my mood, I also feel that it is very effective for my depression and anxiety. I've been able to stop taking the medications my doctor had been giving me and I have felt better since I quit taking pharmaceuticals. I'm so happy I never have to take an opiate painkiller again. I never get tired of hearing such positive feedback from everyone I know who has tried Kratom. It has truly been a blessing in my life and I hope it is in yours as well. Thank you very much for visiting our site and we look forward to hearing your thought on Kratom!